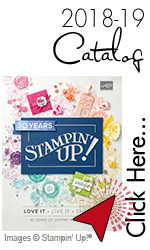 Peek Through Halloween card,Stampin' Up! Hope you give it a try and I would love to see your results! To make the card, take a standard card base of 4 1/4″ by 11″, score on the 11″ side at 5 1/2″, then on one of the 5 1/2″ sides, trim 1 1/2″ from the bottom, then trim 2″ from the bottom, this will make your bottom and cross piece layer to hold the card together. You will then need a sheet of 4″ by 5 1/2″ of Whisper White to make layers to add on. You will cut it at 1 3/8″ and 1 7/8″ two times to make layers for your card base. It’s all fully explained in the video in case this seems confusing.